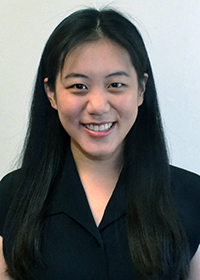 Joyce Lee is a Communications & Research Assistant at the Penn Memory Center. She contributes to all aspects of the Center’s communications and marketing initiatives, as well as to research initiatives in the field of Alzheimer’s disease and cognitive aging, including the REVEAL-SCAN study. Joyce graduated with a bachelor’s degree in neuroscience from Princeton University in June 2017 and also obtained minors in cognitive science and finance. At PMC, she looks to build her skills in science writing, communications, and research, and her knowledge in the field of neurodegenerative disease and cognitive aging. Joyce plans to continue on to medical school and pursue a career as a physician-writer in the future.